There really is no other sporting occasion like the Grand National as give you our Grand National Betting Guide to get stuck into. In terms of sporting drama, pulsating excitement and betting activity, the Grand National stands head and shoulder above other major sports events. The thrills and spills around Aintree’s four miles and two furlongs course is a sight to behold and a great buzz get financially involved in. Forty horses go hell for leather over some of the world’s toughest national hunt fences, which play an iconic part in the make-up of the race. Over 150 tonnes of spruce branches are brought in from the Lake District to build the notoriously difficult 16 fences that the 40 runners have to contend with. These fences are most testing fences in the world of jump racing and the two standout ones in terms of stature are Becher’s Brook and The Chair. For both horse and jockey, it is the ultimate test of abilities. Only the bravest and strongest men in the saddle can prosper and only the slickest and battle-hardened horses can become a Grand National winner. Only one, of course, can claim victory – and when you find the winner it turns into a story to tell the grandkids about. It’s that much of an achievement. This year’s race at Aintree takes place at 4.15pm on Saturday, April 6 2013. It will be a historical race too, in terms of terrestrial television coverage, as Channel 4 will be covering the race for the first time in their history after the BBC lost the rights for the world’s most famous race. The BBC first broadcast the race in 1960 and during its 52 years. There will be plenty of eyes on Channel 4 to deliver to the BBC’s high standards and keep the viewing figures around the 10 million mark in the UK and a reported 500 million worldwide. Every punter has their own way of going about the process of finding the winner of the Grand National. Some like to stick a pin in the race card at random, others prefer more logical methods such as in-depth form study or statistical based analysis. Either way is good in our eyes but we will always prefer preparation over luck, so we would recommend basis your selections on form study, trends and statistics. For example, pinpointing horses of a particular age is a key trend punters like to evaluate ahead of the world’s most famous race. It’s a well-known fact that young horse struggle in the heat of Grand National battle as no seven-year-old has won for more than 70 years and we have to go back to 1915 to find the last successful six-year-old. Older horses fare equally as bad as the last teenager to win the race was 90 years ago and none have made the frame since 1969. Finding the perfect pilot also is a big thing for a punter when assessing the 40 runners. With this being the toughest race in the world, it brings together the best jockeys in the UK and Ireland. The likes of AP McCoy and Barry Geraghty have enjoyed plenty of success over the Aintree fences and will be best watched for their bookings. But the real housewives favourites for the Grand National is Ruby Walsh, who holds the best record of current jockeys, having won the Grand National twice, on Papillon in 2000 and Hedgehunter in 2005. He looks to have the pick of a real classy string of horses this year, with Willie Mullins providing some real talented National contenders. 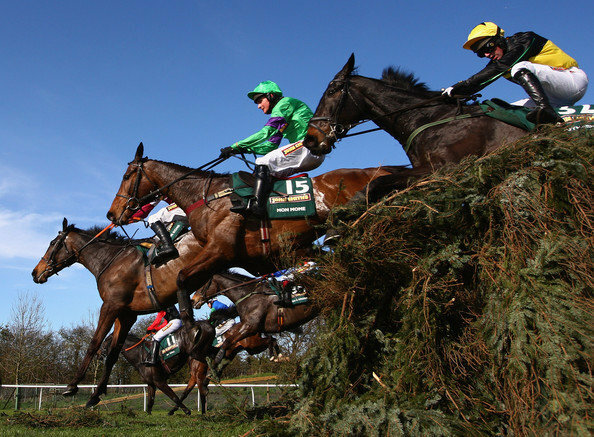 There are plenty of more factors to consider when assessing the Grand National betting market, but whichever horse you decide to pick, you’re bound to be on the edge of your seat for five enthralling minutes.